A new scoreboard at Southern Cross. ON our morning tea stop at Southern Cross on Saturday on the drive from Kalgoorlie-Boulder to Perth we noticed, not with any great delight, that there’s been progress. 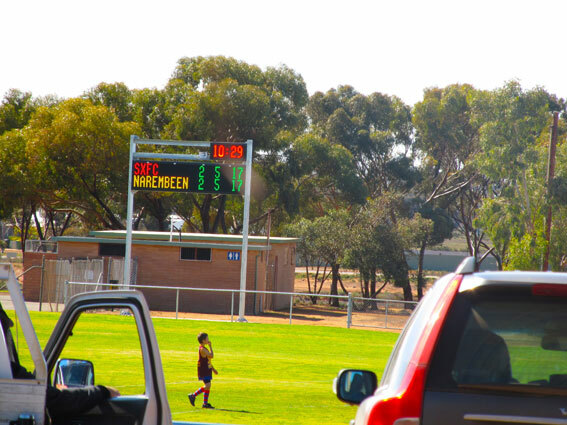 A brand new digital scoreboard told us scores were level in the junior game between Southern Cross and Narembeen. The old board is still there – let’s hope they don’t pull it down. For our story on Southern Cross click the link below. In other digital news, we’ve heard it on good authority (a bloke at a party) that they’ve given up on the digital scoreboard at Lake Grace. 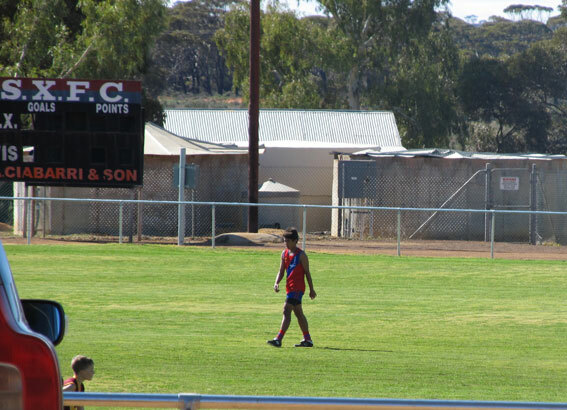 It always seemed strange that one of our favourite footy towns could have arguably the worst scoreboard. We’d love to have this confirmed as we’re not planning on driving through any time soon.